During my time working as a Digital Marketing Manager, I was part of a fundraising and events team for a children's charity. 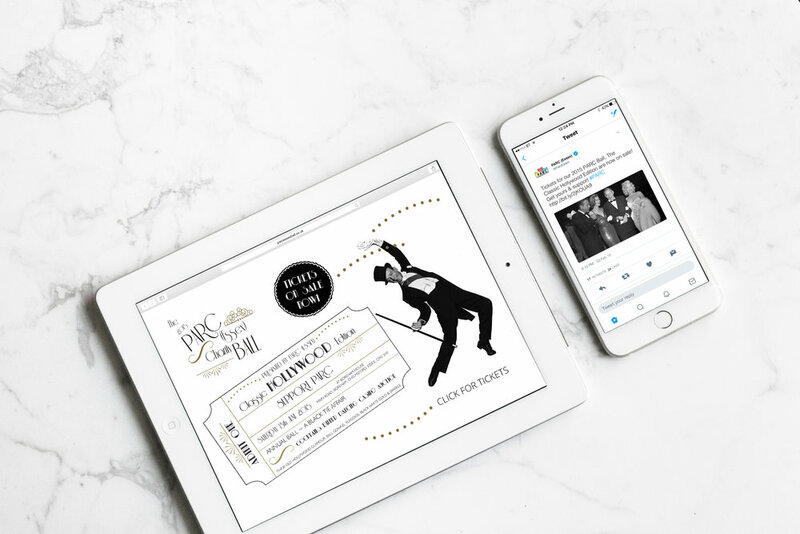 Every year they held a black tie fundraising evening, and I was responsible for the event branding and social media content promoting the event. 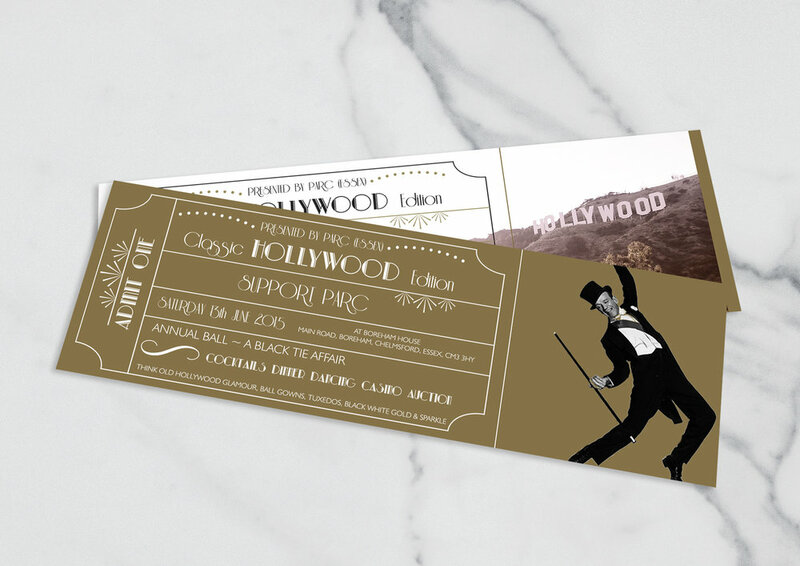 The Classic Hollywood Edition was based upon the bygone era of old movie star glamour, a timeless age being incorporated into all design assets using vintage golds, velvet and a monochromatic colour palette. At the event we had a classic car photo opportunity, a brass band and a vintage photo booth.